The Three Gorges Scenic Area is a grand canyon on the Yangtze River and is one of the most spectacular regions of China. 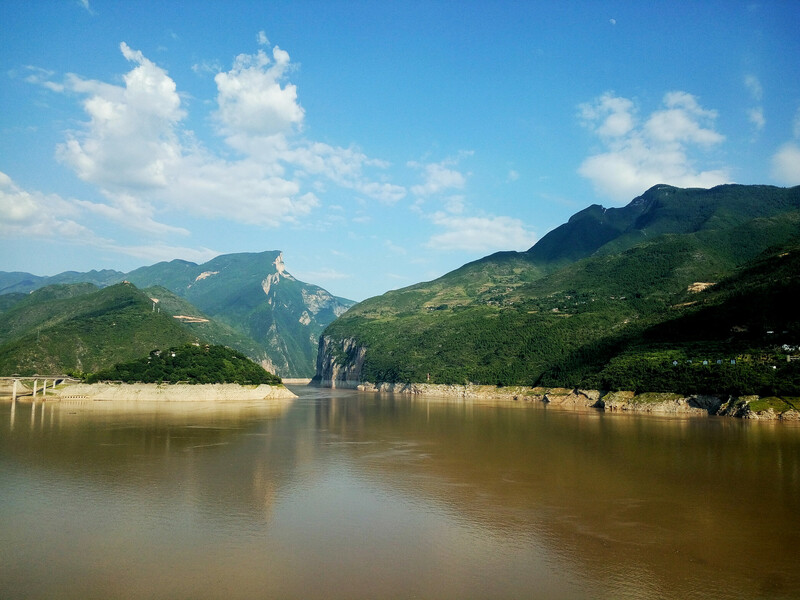 It is made up of the Wu Gorge, Qutang Gorge, and Xiling Gorge and is a UNESCO World Heritage Site. Along with the natural beauty, there are countless ancient manmade relics like temples, pavilions, landscaped gardens, ethnic villages, etc. that add to the appeal. 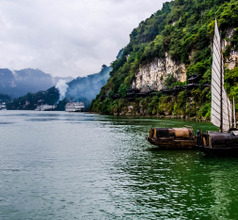 The Three Gorges region is the home of the ancient Daxi ethnic group. The people have a long history of heroic deeds and talented citizens like artists, poets, writers, singers, etc. In fact, the Quyuan Temple and the Zhangfei Temple are memorials built for a famous patriotic poet and military general respectively. 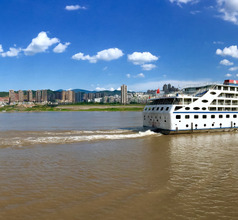 Since the Yangtze River cruises were launched, the number of inbound tourists to the region have multiplied several times. 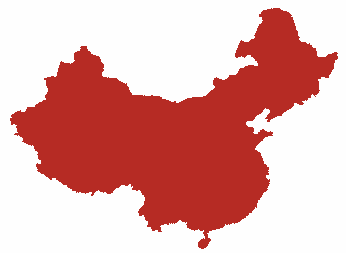 This has been possible due to the construction of the Gezhou Dam and Three Gorges Dam on the Yangtze. Some of the best and most comfortable star hotels of the Three Gorges region are located in the urban areas of Chongqing, Baotaping, Yong'an Town, Xinling Town, etc. Keeping in mind a large number of domestic and overseas inbound tourists the tourism sector is highly evolved. The hotels have spacious and elegantly designed rooms with splendid views. Other amenities include airport transfers, free Wifi, in-room dining, 24x7 housekeeping, etc. There are various low-priced hotels with a few amenities for those traveling on a limited budget. 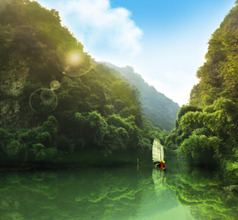 Another option is to book on one of the Yangtze River cruises. There are short cruises of 3 to 4 days visiting only a few choice tourist attractions or long cruises that last for 10 to 15 days and complete the full gamut of attractions. Obviously, accommodation is available on the liners. The cable car system is another way to explore the region. The cable cars traverse over the Yangtze and provide the best panoramic views of the Three Gorges scenery. A unique feature of the Three Gorges Scenic Area is the Fengdu Ghost Town. The general landscape looks like a page out of a fairytale. The villages of the Tujia ethnic group are also a regular part of the tourist circuit. The people sing and dance for the benefit of tourists. Their melodious voices please the ears and the colorful costumes are a pleasing sight. They even enact a traditional Tujia wedding in which tourists can participate as invitees. Various handmade souvenirs are available in the village. 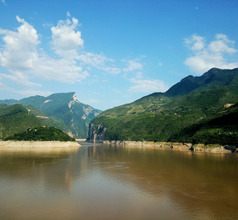 Each of the three Gorges has its own set of popular tourist attractions. The Qutang Gorge is well-known for the iconic Kuimen Gate in the Ziyang City or White Emperor City. 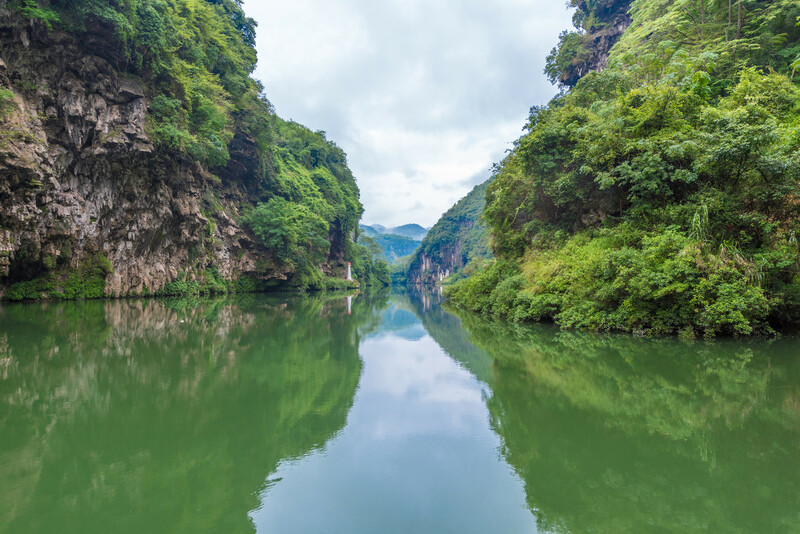 The Wu Gorge has splendid scenery consisting of the Daning River, Shennv Peak, Shennong Stream, Lianzi Stream, Shamurang Stream, etc. 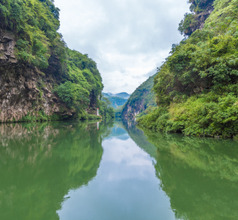 Besides the tall mountain peaks and spectacular valleys in the Xiling Gorge, the region is made up of small gorges called Poshui Gorge, Dengying Gorge, Bingshu Baojian Gorge, etc. 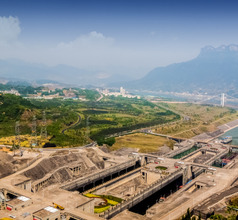 The Three Gorges Dam is located in the Xiling Gorge. 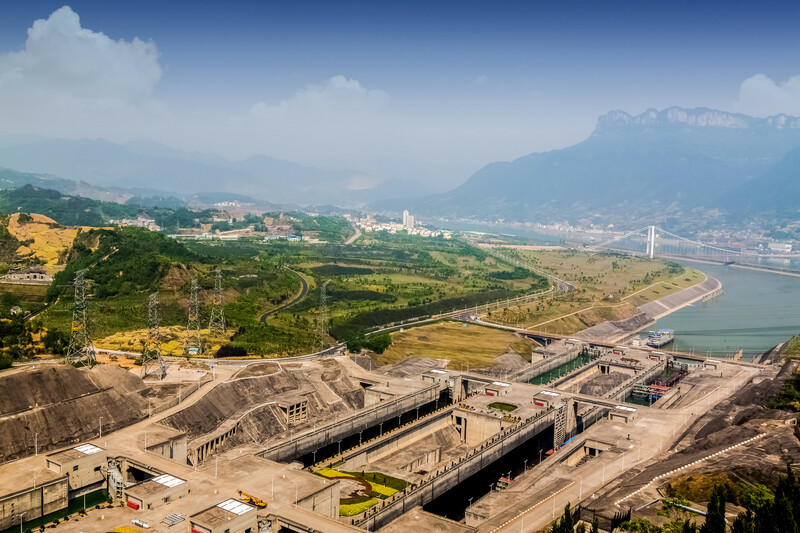 Besides being a hydroelectric power station, it also has tourist attractions like the Three Gorges Exhibition Hall, Jinba Park, Tanziling Park, Cut-off Memorial Park, and 185 Park, etc. 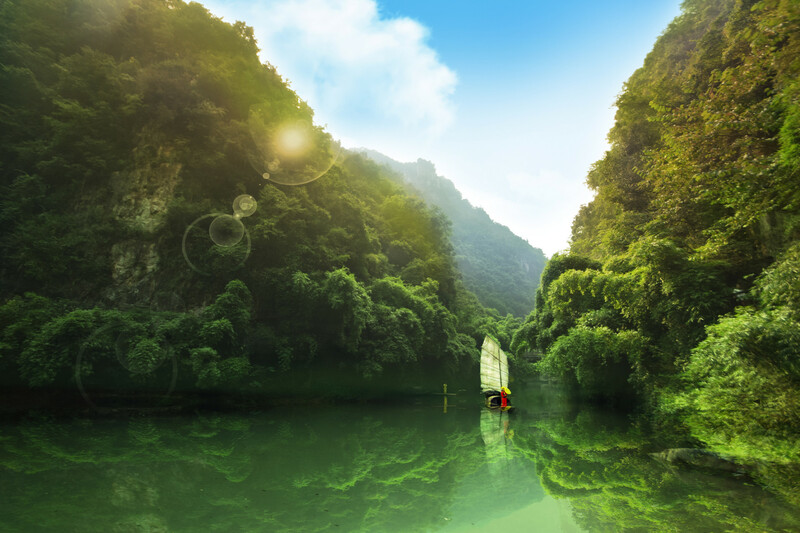 For visitors who love adventure sports the Three Gorges Scenic Area is the best place. Three Gorges Bungee Jumping is a very popular tourist activity. For those who prefer a relaxed holiday, the Badong Opera House, where the Tujia people’s performances are hosted, is a better option. There are usually more than one dining areas on the cruises. Depending on the cruise company and the size of the vessel, the dining areas have a capacity of at least 150-200 people in one sitting. Each table has at least two attendants to ensure that the guests are comfortable. Considering how popular the cruises are with overseas tourists, the companies provide a combination of International and Chinese fare. The local cuisine in the Three Gorges region can be best described as pungent and hot and seafood is the basic ingredient. The must-visit restaurants are located in the city of Yichang on the banks of the Yangtze. Their signature dish is a nine-course meal called “Old Nine Bowls” and is considered to be very delicious. Other local specialties worth trying are Pearl Soup, Sanyou Deity Chicken, cool shrimp, Basha fat fish, etc.